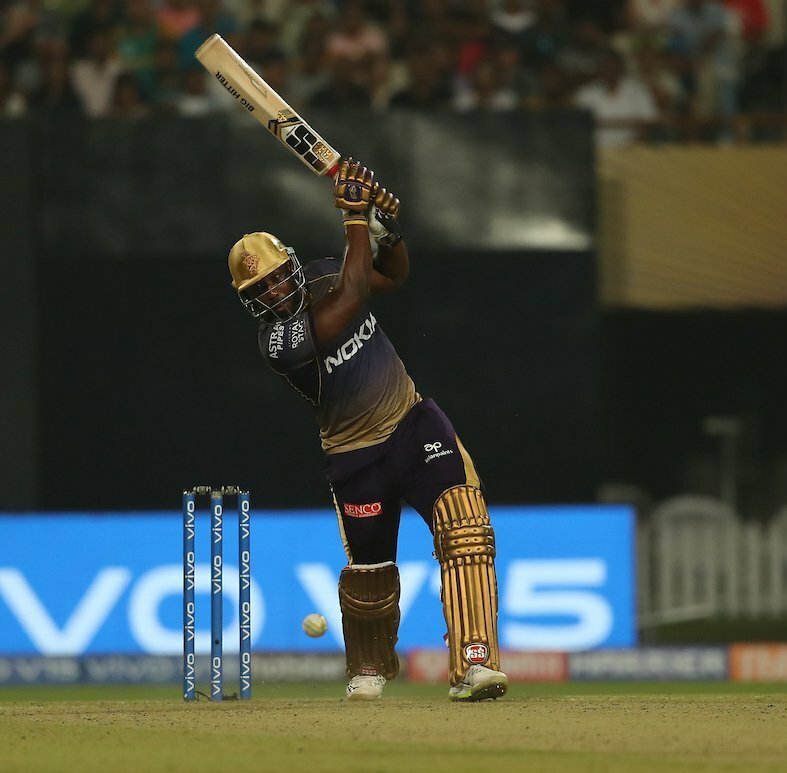 Andre Russell scored a sparkling 49, as Kolkata Knight Riders pulled off a thrilling six wicket win over Sunrisers Hyderabad at the Eden Gardens on Sunday. After being sent into bat by KKR skipper, SRH opening pair of David Warner and Jonny Bairstow started magnificently as the duo added 118 runs for the opening wicket, before Piyush Chawla broke through by claiming Bairstow who was bowled for a well made 38. Warner who was let off twice on of 21 and 68 scored a swashbuckling 85, before being caught brilliantly at cover by Robin Uthappa. His knock comprised of 9 fours and 3 sixes. Yusuf Pathan couldn’t make much of an impact as he departed early for 1. Vijay Shankar’s unbeaten 40 (24) helped Sunrisers Hyderabad reach a challenging score of 181/3 in 20 overs. Russell was Kolkata Knight Riders best bowler as he ended up with figures of 2/32, while Piyush Chawla bagged a solitary wicket. Chasing a daunting target of 181, KKR started badly by losing Chris Lynn early to Shakib Al Hasan for 7 runs. Nitish Rana promoted to open the innings, made full use of the opportunity as he along with Uthappa added 80 runs for the second wicket, before Siddharth Kaul claimed the latter bowled for a quickfire 35. Eight runs later, skipper Dinesh Karthik was dismissed by Sandeep Sharma. Rana who looked solid in his innings of 68, departed shortly to leg spinner Rashid Khan after a 12 minute interruption caused by tower lights failure. With 53 needing off 18 balls, SRH were firmly in the driving seat, but the hard hitting powerful Jamaican Andre Russell changed the complexion of the game by taking 19 runs of Kaul. Even Hyderabad’s best death bowler Bhuvneshwar Kumar, was taken apart in the penultimate over. The 30 year old Russell was well supported by the youngster Shubman Gill who finished off the game with two sixes in the last over off Shakib , as Kolkata Knight Riders reached the target with 2 balls to spare. Russell was declared the Player of the Match for his blistering knock.